This project has a Knowledge and Understanding of the World focus and enables children to explore water in many different forms using their senses in a range of first hand sensory experiences. Opportunities will be provided for the children to experience a range of activities that explore the properties of water, and the ways in which we use water in our everyday lives. We are going to start our context by exploring POND LIFE!! 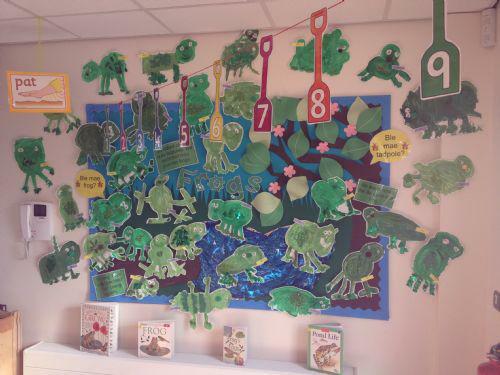 This week we looked closely at frogs! We talked about their features and painted pictures using lots of different photographs to help us. 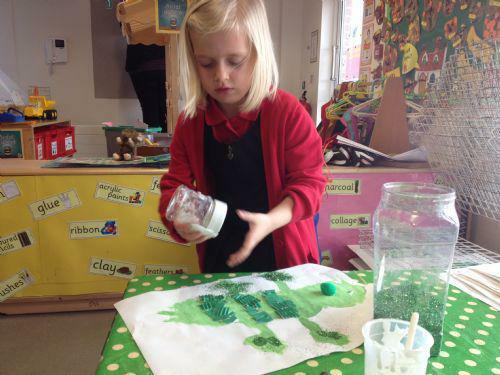 Afterwards we added lots of green resources! Miss Newell used them to make a display in our classroom. This week we have been looking after Mrs Frog's babies. We were very careful not to knock their tank over! We used magnifying classes to look closely at them. They are tadpoles now, we are watching them to see when they grow legs! 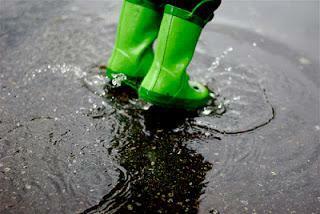 This week we started our brand new topic 'Pitter, Patter, Puddle Play.' We received a letter from Mrs Frog asking us to look after her babies. We learnt that baby frogs are called Frogspawn and the life cycle of a frog. We went pond dipping in the school pond. We had lots of fun but we were very careful!